In 2012, BMW released a video on caring for their factory matte, “Frozen” paint jobs. Such paint jobs are exclusive and very few BMW owners opt for them. 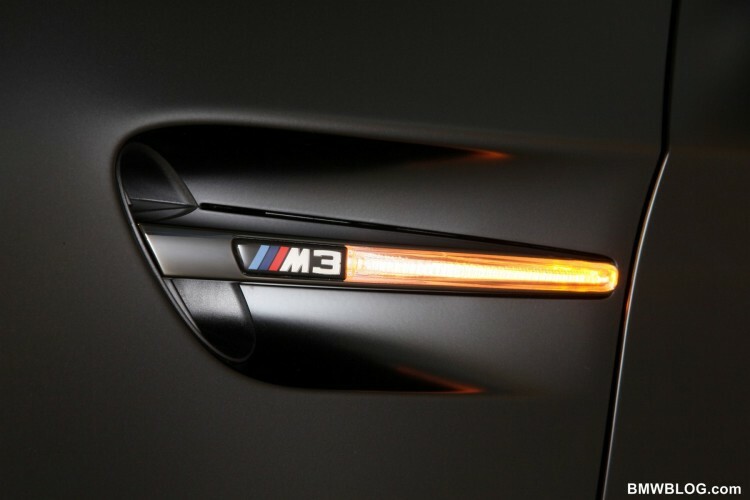 As you know, BMW released a press release explaining the proper way to care for this hot new paint…and much of the information is very good. We’ve reached out to the folks at Dr Beasley’s to tell us more about the frozen paint guidelines and how to deal with a matte paint. Do not polish or wax the vehicle. Do not use mechanical means of cleaning the surface. Remove insect remains, tar and other residues immediately. Always keep your paint protected. BMW’s experts are exactly right, do not use polish or wax on your matte paint. Polishing, an abrasive process, is meant to smooth out the surface and level off imperfections. Problem is, matte paint appears flat because of imperfections in the clear coat layer. When you polish, you’re effectively diminishing your matte car’s ability to retain light. Similarly, waxing your car with any sort of paste or carnauba will fill those same imperfections, leveling the surface once more. Think about waxing over a tiny scratch on a “regular” car… when you wax over it, it will become less visible because light reflects more easily off of the less-imperfect surface. There you have it. Matte Rule #1: Do not wax or polish. Somebody get a bell, BMW got another one right… do not use any mechanical or automated means of cleaning your matte paint. Basically it boils down to NEVER buffing your matte paint, and NEVER taking it to an automatic car wash. Any sort of high-speed (buffer) or repetitive motion (twirling brushes, dragging noodles, etc.) will cause harm to the matte finish. Always wash by hand with a pH balanced matte specific car wash soap. Matte Rule #2: No mechanical means of cleaning. Call it a hat-trick, always remove insect remains, tar, sap, oil, overspray, bird poop, etc., etc., etc. from your paint immediately. This one’s super simple, but given their next claim, you’d think it’d be tough to do, but you’ll soon see it’s not as hard as it looks. Matte Rule #3: Clean stuff off your paint immediately. This last point is important, and it’s in response to some…questionable advice BMW gives in its video. Yes, some of the products they mention (microfiber, wax, sealants, and detail sprays) can damage your paint… unless you’ve done your homework. So what do we mean by homework? Well let’s start with microfibers. Microfiber towels are the absolutely safest towel to use on the market due to their absorbent, plush, and lint free characteristics (read more on microfiber). They don’t drag contaminants across the surface like a chamois or cotton towel, they don’t leave streaks, and their water retention is nothing short of admirable. That said, they can be damaging if there is an exposed seam coming in contact with the paint, or in the event that the towel is soiled – yes – any towel will do damage. Next, applying any type of wax or sealant does pose the risk of damaging paint. Applying just about anything with a terry or microfiber applicator to a dry surface will microscopically harm your paint and cause minor surface scratches (read more on scratches).For that very reason, we developed Matte Paint Sealant (liquid) which uses water – by leaving the car wet after washing – in the bonding process to create a long lasting, durable layer of protection against the effects of dust, debris, contaminants, and more. Any protection product using silicones, waxes, paste, or carnauba to any extent will either increase the gloss rating of your matte finish or do damage to the clear coat. Matte Rule #4 is arguably the single most important rule for matte car owners. I cannot stress enough the importance of protecting your paint, as that is the only way to preserve it’s factory no-shine look. Truth is, everything covered in Rule #3 becomes a whole lot easier when you protect your paint. Removing water stains gets easier, getting bird crap off your car gets easier, and most importantly, it all gets much less damaging to your paint when you have a protective barrier on top of your clear coat. And don’t worry… when you need to apply a matte final inspection spray to remove finger prints, dust spots and the like, that premium microfiber towel you’re using won’t be doing damage to the matte finish. There’s no silicone, no fillers, and no wax in the formulation. So there you have it… Protect your matte paint regularly with a no-shine, no wax, non-filling matte paint sealant specifically designed for the uniqueness of your paint. And a Range Rover detailed by Dr. Beasley’s. Previous post BMW i3 Tires: Get Ready For Winter!